Digital radiographs are used to detect cavities in between the teeth. We can also see the tips of the roots on a different type of digital x-ray. Patients with healthy teeth and gums will receive a dental cleaning. If periodontal disease is present, the hygienist will discuss if further treatment is necessary. Cosmetic dentistry focuses on the aesthetic value of teeth as well as the overall health. The goal of cosmetic dentistry is to improve the well-being and visual look of the teeth. Drs Gill & Kenson offer a variety of cosmetic dentistry procedures to improve their patients self-esteem and give them a beautiful looking smile. Neuromuscular dentistry focuses on the alignment of the jaw. As experienced neuromuscular dentists, Drs Gill & Kenson consider the position of the teeth and how it relates to the function of the joints and muscles. If this relationship is out of balance, we offer treatment to better align the jaw. General dentistry involves the diagnosis, treatment and prevention of dental conditions and issues. It also includes the maintenance of overall oral health for patients of any age. Visits to Drs Gill and Kenson can help protect your teeth and keep them strong. As technology continues to improve, we stay up to date and use laser technology for treatment of gum disease. Laser dentistry offers many benefits including no anesthesia, no sutures, minimal bleeding, and quicker healing. 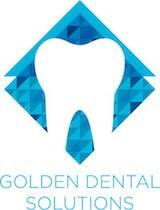 Holistic dentistry is something we practice at our Golden, CO office. The goal of holistic dentistry is to promote the overall health and wellness of the patient rather than treat a specific disease or condition. Holistic dentistry focuses on non-toxic ingredients and we will use the least invasive and least traumatic means of diagnosis and treatment.